I first became interested in Hortense Powdermaker when I began my research in Hollywood in the early 2000s. I had long been aware of her monograph, Hollywood The Dream Factory (1950), but I had never really stopped to think about how extraordinary it was for an anthropologist to be studying Hollywood in the 1940s, when everyone else was rushing off to study Native Americans, Africans, or South Sea Islanders. 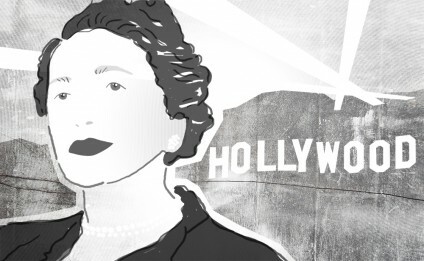 When I started the Hollywood project, however, I became curious about her, as she was clearly an interesting figure, but was rarely mentioned or cited. Although she left no great theoretical legacy, she did four stints of ethnographic fieldwork, and wrote four monographs as well as a personal/professional memoir reflecting on the experience and practice of fieldwork. Moreover, two of the fieldwork projects, one in Mississippi and one in Hollywood, were among the earliest efforts by an anthropologist to turn an ethnographic lens on the U.S. I thus thought I might write something about Powdermaker’s place in the history of the field, but I learned from anthropologist Jill Cherneff that Powdermaker had been upset by the publication of Malinowski’s diary, and had left instructions with her sister to destroy all her papers when she died (see also Powdermaker 1971). Fortunately for us, however, a significant number of her letters have survived in the LSE archive. These letters will allow me to situate Powdermaker within the anthropological milieu of her time, and also to interrelate some aspects of her life and her work. I will proceed more or less chronologically, covering her years at the LSE; the period of her first fieldwork, in Lesu, in New Ireland; her return to the U.S. after that fieldwork; and her subsequent research projects. My general approach will be to consider the politics, broadly conceived, underlying her work. First, a few notes on her personal background. She was born in 1896 (Johnson 2009) and grew up in what is always described as a middle-class Jewish family, though it was probably rather more upper middle class than that. I deduce this in part from the fact that the family produced two highly educated women – not only Hortense, with her B.A. from a private women’s college and a PhD from the LSE, but also her sister Florence, who had a PhD in psychology and became a distinguished figure in her own field. After finishing college, Powdermaker took a job as a full-time paid labor organizer for several years. She gives a fairly detailed account of this work in her memoir, Stranger and Friend (1966), and it is clear that this was not some little college girl adventure. She eventually became frustrated with the work and resigned the job. Nonetheless she ends her discussion of that period by saying, “I still believed in the workers’ cause and the necessity of union organization. My social values had not changed” (1966:32). One of the themes of this essay will be the relationship between Powdermaker’s background in labor organizing and her practice of anthropology, and I will return to this below. In any event she went off to London to start anew, and was admitted to the program in social anthropology at the L.S.E by Malinowski in 1925. There are no letters from Powdermaker during the first few years of her graduate work at the LSE, but she did write a chapter on the London years in Stranger And Friend, so I will begin by drawing from that. During her first year at the L.S.E., there were only three graduate students in anthropology: herself, Raymond Firth, and E.E. Evans-Pritchard. Isaac Schapera came the following year, and then a number of others, the most well-known of whom was Audrey Richards (Powdermaker 1966: 36). She seems to have had a very good relationship with Malinowski, whom she describes as “an exciting teacher and person” (1966:34). She comments on his relatively easy-going relationship with his students, and she describes a summer vacation at the Malinowski villa in the South Tyrol, when she, Firth and Schapera stayed at a nearby priest’s house, working on their theses during the day. At tea-time they all repaired to the villa, where Elsie Malinowska served tea, and Malinowski would discuss their theses with them (1966:43-44). She writes about Radcliffe-Brown’s semester at the LSE: “Although R-B lectured at the school for only one semester, he influenced all of us. I listened spellbound on the front seat as, tall and handsome, he gave a beautiful, polished performance” (1966:41). For a while she came under his Durkheimian spell, but in the end decided she found it less satisfactory than Malinowski’s brand of functionalism: “Radcliffe Brown was far more a true Durkheimian than was M… We never heard of Andaman Islanders who broke the rules, nor did they ever come alive as people … I was fascinated by his theories for a while and they remain with me, but I never became his disciple, as did others” (1966:41, 42). She also commented on the contrasting personal styles of Malinowski and Radcliffe-Brown: “Radcliffe-Brown had disciples in the real sense of the word. Malinowski’s students learned from him, but they also argued, talked back, and made jokes about him. He wanted loyalty (you had to be on his side) but not reverence” (1966:42). She also observed that Malinowski’s relationships with women were easier than those with men (1966:35), while the reverse seemed to be true of Radcliffe-Brown (1966:42). Back to the chronological account, Powdermaker wrote a library thesis in London comparing leadership in several “primitive societies,” and her PhD was awarded in November 1928. She applied for and received a grant to do fieldwork the following year, and in December of 1928 she set sail for the field. On the way she spent a month in Sydney, where Radcliffe-Brown was Chair of the department. The visit included daily tea in Radcliffe-Brown’s office; Powdermaker comments that she “had great respect and admiration for him, but could not play the worshiping role which he seemed to need” (1966:55). Powdermaker’s resistance to the charisma and/or authority of senior males is another theme that will reappear in her life and her work, and I will return to this too below. Whatever her reservations about Radcliffe-Brown, however, when she finally departed for Lesu he sent roses, which I find rather amazing, but on which she does not comment (1966:56). Powdermaker spent 10 and a half months in Lesu, a village in New Ireland in the Melanesian island group. Two months into the fieldwork she wrote a long letter to Malinowski which begins, like all her letters to him, “Dear Bronio.” The letter is full of contradictions, and here I will bring back the point about her earlier work as a labor organizer. Broadly speaking I will suggest that there is a pull between Powdermaker’s politics and her anthropology, which may account for some of the weaknesses in her work. After reporting in the letter to Bronio on her hard work on the language and the kinship terminology, she gets down to the issue that shadows the whole project: whether or not the society is primitive enough, untouched enough by modernity, to allow her to get a true picture of a functioning primitive society. “When I first came here,” she writes, “I decided that I would only stay a few months,… . I thought the natives were too sophisticated and that there had been to[o] much contact with missions and government… But … I’ve decided that most of the contact is superficial and that there is a great deal I can get.” Later in the letter she recounts the following story: “A Papuan native came to the administration and asked that no more anthropologists be allowed to come into the territory. He was asked for his reason, and he said that they came there and wrote books about what happened in the past. People in Australia read these books and thought that this was a picture of Papua today. The Papuans were much annoyed at this and so have asked for the extinction [sic] of all anthropologists.” Powdermaker does not seem to see the contradiction between her dismissal of the impact of the missions and the government as “superficial,” and her evident amusement at the story of the Papuan natives who say anthropologists only want to write about the past. But there is more. She also writes in the letter, “I also have a passion for reality and would like to do this as a study of what IS [all caps and underlined], showing as far as I can, the influence of planters, government and missions.” Yet when we read the resulting ethnography, Life in Lesu: The Study of A Melanesian Society in New Ireland (1933), we see that she never did any of this. Far from showing “the influence of planters, government, and missions,” Powdermaker repeatedly notes their existence and sets them aside. The missionaries are said to have had relatively little impact. The presence of plantations is noted, and we learn from a later account by other anthropologists (Rosman and Rubel 1991) that there was at the time of Powdermaker’s fieldwork a plantation three miles down the road from Lesu village, for which some villagers were doing day labor, but this is never explored. Equally if not more important is the impact of policies of the Australian Mandated Government, including recruiting corvée labor to build and maintain a road, installing their own “chiefs” in the villages, and perhaps most profoundly, prohibiting the practice of warfare that had been deeply institutionalized in the culture. All of these things are noted in the book, yet none of them are followed out in any systematic way. It is, of course, fairly common nowadays for anthropologists to look back critically at old ethnographies and note the ways in which ethnographers ignored all of these kinds of things. Powdermaker was certainly not alone in pushing the European/colonial presence off to the margins of her research. What I find interesting in her case, though, is the tug-of-war between what I take to be the voice of the labor organizer in her, telling her to do “a study of what IS … [including] the influence of planters, government and missions,” on the one hand, and on the other, the dutiful young anthropologist, slaving over kinship terminology and ultimately producing a rather flat and disjointed monograph. Reo Fortune would later write in a review of Life in Lesu, “The work is conscientious, however far it fails to reach a standard which has been set in Melanesian field work” (1933:112). Powdermaker left Lesu in February 1930, stopping in Sydney for a visit with Firth, and then heading back to the U.S.
Powdermaker’s strong negative reactions to some of the Big Men of anthropology of her era would perhaps be nothing more than interesting gossip, except that these reactions also play a significant role in her most well-known book, Hollywood the Dream Factory (1950). Powdermaker had become drawn to the culture-and-personality theories of American anthropology of that era. Thus one of the central points of her Hollywood book is that Hollywood, like any social system, is influenced by the personalities of its leaders. Powdermaker found that the “leaders” of Hollywood, that is, the heads of studios, were precisely the kind of domineering senior males to whom she was very resistant. Her chapter on the heads of studios is titled, “Men who Play God,” and several times in the course of the book she rhetorically links them to “authoritarianism” and even Nazism (1950:100). Shortly after the meeting with Boas she met Edward Sapir, and described him in a letter to Firth as “brilliant and very likeable.” Sapir, who was based at Yale, was to become another good friend and supporter. Powdermaker moved to New Haven and joined the Institute for Human Relations at Yale, where she worked on the Lesu book and also began to develop her next project, a study of race relations in a town in Mississippi. Against the resistance of some of the other anthropologists at Yale, Sapir backed Powdermaker for a fellowship for the new project (Wikipedia, n.d.), and in September of 1932, she left for the field in Mississippi. It is important to recognize Powdermaker’s ethnographic daring. Her decision to study a racially divided community in the American deep south, using ethnographic methods, was entirely off the charts for that era. One wonders, then, how she arrived at this decision, and in her memoir she links it to her background in the labor movement: “…the desire to go south and study the Negroes (and the whites there) sprang from an intuitive return to my involvement with society. When I had left the labor movement,” she continues, “I had naively thought that I should and could separate my concern about society from research. But, as [sociologist] James Coleman has noted, research can be rooted in a deep concern with society” (1966:132). Although the book that came out of this project, After Freedom: A Cultural Study in the Deep South (1939), is flawed from a contemporary perspective (Fraser 1991; Williams and Woodson 1993), it also represents an important founding moment in the anthropology of race in America. 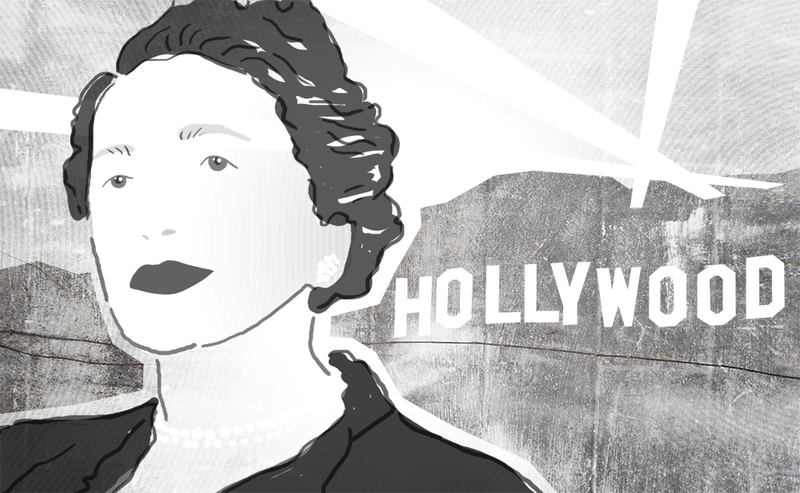 Her next project, a study of Hollywood, was similarly daring for that era. No one, whether sociologist or anthropologist, had done anything like that before. Again she links it to her background in the labor movement, though in a different way. It became clear in the course of her research that Hollywood was run on rather authoritarian lines, with studio heads and producers operating the place like an assembly line, and with writers forced to quash their own creativity in order to produce the kinds of mediocre scripts that would please the powers-that-be. She came to see the relationship between the studio heads and producers on the one hand, and the writers and directors on the other, as analogous to the “subjugation of … workers by employers” against which she fought in the labor movement, and said that she came to “deeply hate” the place (1966:225). Her final fieldwork, in northern Rhodesia (now Zambia) has yet a different background, yet she winds up once again in the midst of a labor-management situation. She had intended to work in Uganda, with help from Audrey Richards, but Richards’s plans changed at the last minute and she and others urged Powdermaker to work in Northern Rhodesia instead. After considering several sites, Powdermaker settled in Luanshya, a large town surrounding one of the major copper mines. She continued to pursue her original topic, which was about the influence of the mass media, and especially the movies, in Africa. At the same time she was clearly drawn to the labor issues, and has a section on “the new economic order,” including a chapter on a brief strike by the miners that took place while she was in the field. In fact, as we learn from the memoir (1966:249-251), some anthropologists had advised Powdermaker to work directly with the African Mine Workers’ Union, but she was afraid that if she did so, management would not let her do the fieldwork. She explicitly says that she decided to “play it safe” (1966:249). Yet we see that she could not ignore the labor issues and included them in the study, but in a kind of half-baked way. Thus the chapter on the strike is curiously shallow, consisting almost entirely of long unanalyzed transcripts of conversations among miners about their attitudes toward the strike. To conclude very briefly: I think we may say that all of Powdermaker’s work is both interesting and, to varying degrees, flawed. Part of the reason for this, as others have argued (Rosman and Rubel 1991, Silverman 2007), has to do with her (largely implicit) theoretical frameworks, a point that I have not pursued in this brief essay. But another part of this, I have argued, has to do with her politics, or more specifically, with her view that she could not combine a scientific ethnographic attitude with a critical political interest. This is an issue many of us struggle with to this day. Cherneff, Jill B. R. 1991. “Dreams are Made like This: Hortense Powdermaker and the Hollywood Film Industry.” Journal of Anthropological Research 47(4):429-440. Dollard, John. 1937 . Caste and Class in a Southern Town. Madison: University of Wisconsin Press. Fortune, Reo F. 1933. Review of Life in Lesu. Oceania 4(1, September): 111-112. Fraser, Gertrude. 1991. “Race, Class, and Difference in Hortense Powdermaker’s After Freedom: A Cultural Study in the Deep South.” Journal of Anthropological Research 47(4):403-416. Johnson, Barbara C. 2009. “Hortense Powdermaker.” In Jewish Women: A Comprehensive Historical Encyclopedia. March 1. Jewish Women’s Archive. http://jwa.org/encyclopedia/article/powdermaker-hortense. Accessed May 25, 2015. Journal of Anthropological Research. 1991. The Legacy of Hortense Powdermaker (special issue). 47(4). Winter. Ortner, Sherry B. 2010. “Access: Reflections on Studying Up in Hollywood.” Ethnography 11(2):211-233. – 2013. Not Hollywood: Independent Film at the Twilight of the American Dream. Durham, NC: Duke University Press. Powdermaker, Hortense. 1933 (1971). Life in Lesu: The Study of a Melanesian Society in New Ireland. New York: W.W. Norton & Company. – 1939 (1993). After Freedom: A Cultural Study in the Deep South. Madison, WI: University of Wisconsin Press. – 1950. Hollywood the Dream Factory: An Anthropologist Looks at the Movie-Makers. New York: Little, Brown and Company. – 1962. Copper Town: Changing Africa. The Human Situation on the Rhodesian Copperbelt. New York: Harper & Row. – 1966. Stranger and Friend: The Way of the Anthropologist. New York: W.W. Norton & Company. – 1971. “Introduction: Further Reflections on Lesu and Malinowski’s Diary.” In Life in Lesu, pp. 5-12. Rosman, Abraham and Paula G. Rubel. 1991. “Powdermaker’s Lesu.” Journal of Anthropological Research 47(4), The Legacy of Hortense Powdermaker (Winter):377-388. Silverman, Sydel. 2007. “American Anthropology in the Middle Decades: A View from Hollywood.” American Anthropologist 109(3):519-528. Wikipedia. n.d. “Edward Sapir.” https://en.wikipedia.org/wiki/Edward_Sapir. Accessed 11/1/15. Williams, Brackette F. and Drexel G. Woodson. 1993. “Hortense Powdermaker in the Deep South.” In H. Powdermaker, After Freedom, pp. ix-xl. Madison, WI: University of Wisconsin Press. Wolf, Eric R. 1971. “Hortense Powdermaker” (obituary). American Anthropologist 73(3):783-786.